Linda McGrath-Cruz talks about how to get the most out of paralegal conference networking. Carl Morrison gives his management tips and tricks, current association trends, and his predictions for the future of the paralegal profession. Lisa Vessels tells all about leadership skills as a paralegal and gives tips on how to improve these skills to the future. Andrea Grabow talks about her experience as a government employee, what law firm knowledge has prepared her for her current position, and the challenges she faced transitioning from law firm to government. Recap and Update: What are LLLTs and How will they Improve Access to Justice? Patrick Palace talks about what LLLTs are and how they provide access to justice in a unique and powerful way. Conni Herbert discusses why paralegals should be investing their time in pro bono work and the importance of finding pro bono activities that empassion you. In this bittersweet episode of the Paralegal Voice, Vicki Voisin hands the hosting reigns over to Carl Morrison. Tracy Mosz talks about her experience as a litigation paralegal including handling the stress and maintaining all the necessary documents. 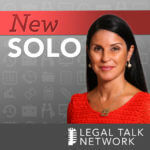 In this podcast, why networking is so important for lawyers and what they can do to improve their professional social skills. Vicki Voisin defines what it means to have a successful paralegal career and gives 30 tips on how to live out your calling. In this episode of The Paralegal Voice, host Vicki Voisin talks to Adam Camras, CEO of Lawgical, about managing your law firm’s time effectively ﻿﻿with apps and technology. This podcast episode is about tips and tricks for public speaking. PLLC Certified Paralegal Alicia Mercer talks about why having a project manager is beneficial to the health and well being of any law firm. NALA President Cassandra Oliver talks about the organization and the significance of paralegal certification. What is the LLLT program and what does this license provide to low income communities and the law firms that serve them. Paralegals: What If Your Client Claims Innocence?